Soldier Settlement in Carnamah after the First World War is now showcased at the National Museum of Australia (NMA) in Canberra. 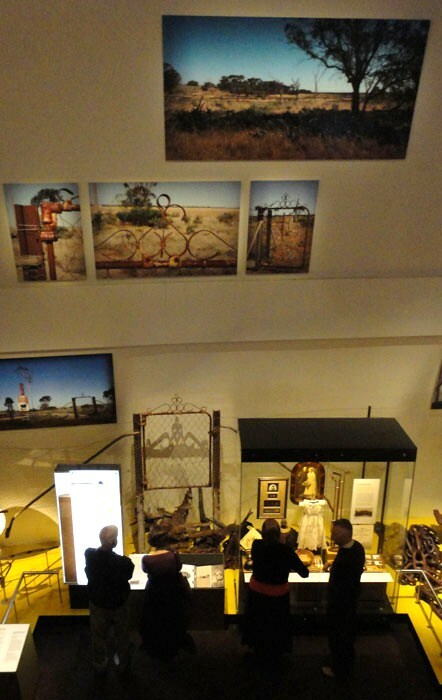 It is one of many stories told in the museum’s Landmarks: People and Places across Australia gallery, which opened on 2 June 2011. 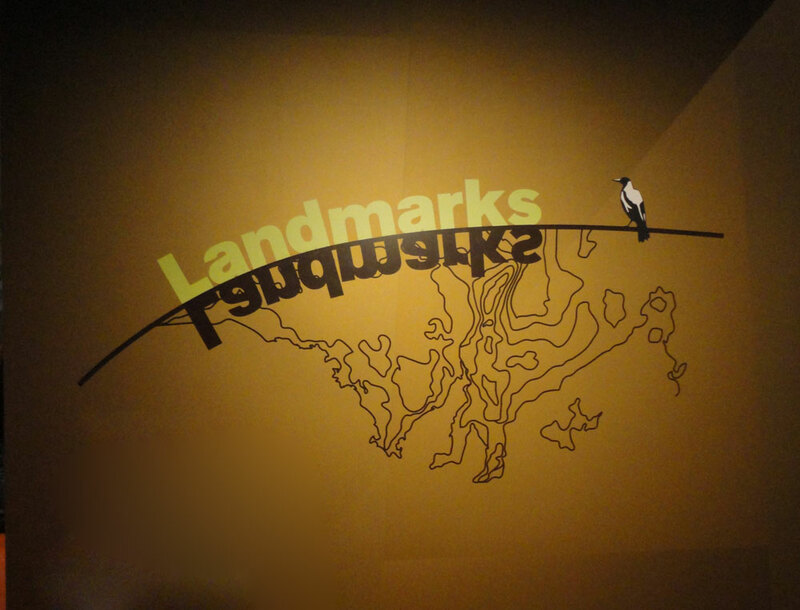 Landmarks is split into ten themes that explore the very different stories of Australia, its places and its peoples. Carnamah, with two other places, make up the theme Extending the Farmlands. Carnamah had a relatively small population, but soldier settlement transformed the district into a thriving agricultural community. 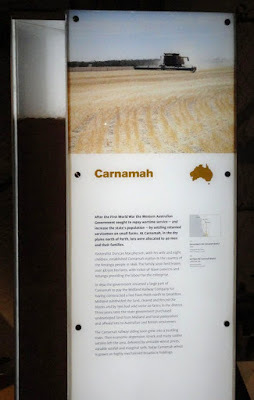 The section on Carnamah centres around the stories of five soldier settlers and their families, and tells stories of both advancement but also of defeat (on account of small acreage, the Great Depression and salinity). The five soldier settlers detailed are Tom White, Jack Spork, Tom Garth, Anster Tucker and Roger Clark. The centrepieces for Carnamah are a garden gate with a section of fence and a pile of York Gum stumps. These came from Tom White’s Rosedale Farm in Winchester and were donated to the museum by Bruce White. The supports of the gate include original pieces of the Midland Railway line. In a large display cabinet there are a host of items relating to the five families which chronicle their wartime service, personal lives, farming, domestic tasks and recreational activities. So how did Carnamah find its way into the National Museum? Several years ago we received a phone call from NMA curator George Main. From a Google search he had come across our website and in particular its Carnamah-Winchester Database. He was impressed with our content and wanted to make the story of post-WW1 solider settlement in Carnamah part of the museum’s then forthcoming gallery. Carnamah was represented at the opening of Landmarks by Christopher White (great grandson of solider settler Tom White) and Andrew S. Bowman. If you’re ever in Canberra check out Carnamah and the rest of the brilliant Landmarks gallery at the National Museum. Admission is free and the museum is open from 9am to 5pm every day of the year except Christmas Day. Want to know more about Carnamah's history? Visit our website or find us on Facebook and Twitter. It sure is Inside History, and thanks Anne and Bronwyn for the positve feedback.